When you better understand not just how necessary water is to a healthy life, but the range of benefits it can have, you might be more likely to reach for the refillable water bottle next time instead of the sugary 20 ounce soda. Here are the 10 best reasons we found that explain why drinking more water is one of the healthiest decisions you could make. It makes your skin look better. When you’re dehydrated, skin looks drier and more wrinkled. (Read: old!) Celebrities have long cited water drinking as one their favorite and fool-proof beauty regimens. It flushes toxins from your body. Your body removes toxins through sweat, urine and stool. But in order for that to go as it should, your body needs plenty of water for the process. If not, your kidneys won’t function as efficiently and toxins can become concentrated and more difficult to remove. It makes you less cranky. Being dehydrated can affect your mood and overall feeling of well-being. You’ll be more clear-headed if you get enough water. It makes you feel full. 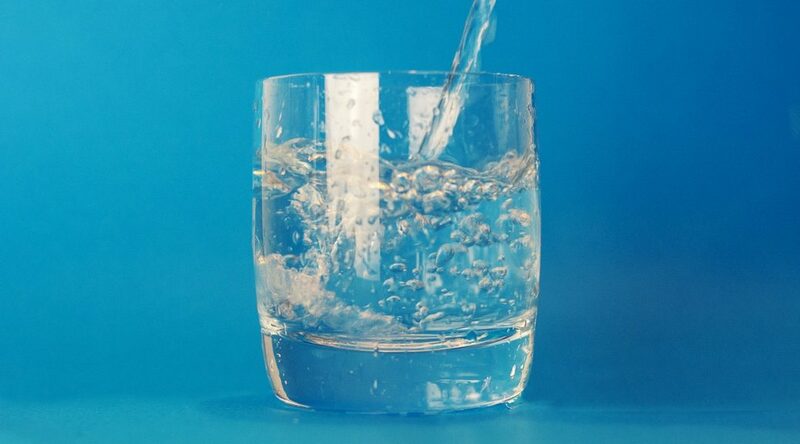 Drinking a glass of water before a meal is a good way to prevent yourself from overindulging. Sometimes when we think we’re hungry, we’re really just thirsty. It can help you control calories. By having water instead of milk, soda, sweet tea or alcohol, you’ve saved yourself anywhere from 50 – 250 calories. Small changes like this over time can result in big results. It helps decrease joint pain. Water keeps the cartilage in your body soft and hydrated. It’s good for your muscles. Sweating, like during a workout, can cause your muscles to lose water. Rehydrating when you’re tired can give you an extra boost, and make it less likely that your muscles will cramp. It gives you energy. One of the main symptoms of dehydration is tiredness and fatigue. Grab a water instead of that midday coffee – you’ll feel a lot better, and your pocketbook will thank you. It boosts your metabolism. A study published in the Journal of Clinical Endocrinology and Metabolism found that drinking about 17 oz of water can increase the metabolic rate by 30% in already-healthy people. It helps your brain function better. A 2% dehydration level can cause short-term memory loss and make concentrating more difficult. And as an added bonus, if you’re using a refillable water bottle, you’re saving money on bottled water at the store (not to mention lugging all those home). If you replace your daily coffee or even a soda with your own bottled water, you can save hundreds of dollars a year.